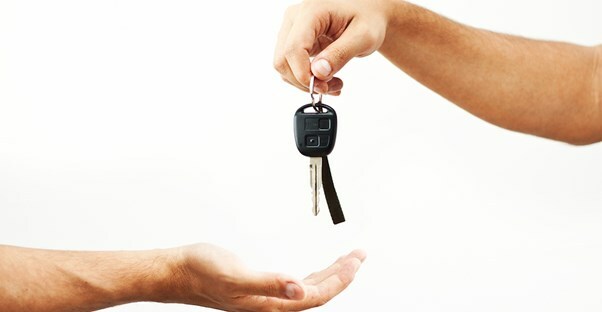 Liability auto insurance is one of the more popular forms of auto insurance that is available. The purpose of liability auto insurance is to cover the expenses associated with damages to another individual or their property that come as a result of an accident where you were at fault. Every single state in the United States requires that drivers have liability insurance. However, there is some fluctuation in the amount of liability insurance that an individual needs depending on the state where they are driving. What damages are covered by liability insurance? The damages covered by liability insurance are not unlimited. The limits imposed are on property damage, bodily injury, and bodily injury per accident. Each of these limits represents the maximum amount that an auto insurance company would pay to cover related damages. In the case of bodily injury and liability per accident, it is a good idea to have this set relatively high so that it would be enough to cover an accident that involved multiple people. Take the following scenario, for example. You're in an automobile accident that is your fault. As a result of the accident, three individuals are seriously injured. The body injury liability that you have per individual is set at $50,000. The bodily injury per accident is set at $100,000. If the first injured individual has medical bills that are $41,000, the second person has bills that are $29,000, and the third individual has bodily injury expenses of $25,000, you would be covered. The reason why is that each individual's injuries were under the $50,000 you had set for per person bodily injury liability. Additionally, the total cost of all injuries incurred was $95,000. This is less than the $100,000 that would be spent on your policy as a per accident limit. The driver must be aware of the fact that liability insurance will not cover damage that is done to their own vehicle. For that type of coverage, it would be appropriate to look into collision coverage. Additionally, liability insurance does not cover the at-fault driver's injuries. In order to get this type of coverage, the driver would want to look at personal injury protection or medical coverage. When it comes to deciding the amount of liability insurance that an individual needs, the first thing that they should take into consideration are the limits required by the state where they live. Second, they should realistically envision how much the total expenses for an accident that they could be involved in could cost. It is always a good idea to have a sufficient amount of liability insurance coverage, as any expense incurred above the liability limit will result in an out-of-pocket expense for the at-fault driver. Auto insurance can be extremely expensive. This expense can be a burden on individuals who are in low-income families. Some states, like California, have enacted legislation that provides low-income liability insurance for its residents who have low to medium-low income. Additionally, insurance policy owners can do things on their own in order to minimize the amount they spend on insurance. For example, if they are driving a vehicle that is drastically less than the Kelly blue book value, it may be a good idea to remove certain aspects of the coverage that would include flooding, vandalism, and other contingencies that may not necessarily apply to a vehicle with a low value. Additionally, purchasing auto insurance policies that are longer, such as a year or more, can offer financial savings. Drivers who add safety gear to their vehicle will also see a drastic reduction in the amount they will pay annually for car insurance. Finally, pay as you drive insurance options offer a low-cost alternative to conventional insurance policies.